Game-changing technologies are transformational, exciting, and can move you in amazing new directions. They get you thinking about new ways to scale, compete and grow –driving efficiency for existing finance operations, but also driving transformational change for the entire business. They shake up your status quo. 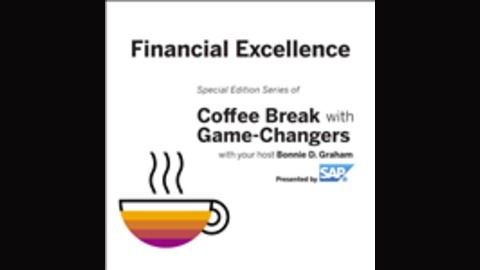 Take your Coffee Break with Game-Changers on Tuesdays at 9 AM Pacific Time and 12 Noon Eastern Time for our special series on achieving FINANCIAL EXCELLENCE for your company. Learn how you can become the savvy innovator who takes your company across the finish line as you look ahead to the next breakthrough strategy. 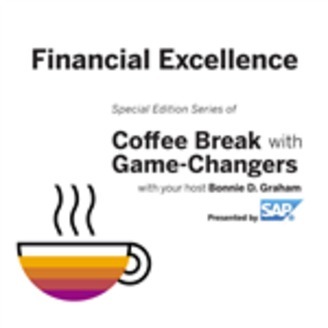 Financial Excellence with Game Changers, Presented by SAP, Tuesdays at 9 AM Pacific Time and 12 Noon Eastern Time on The Business Channel. The Intelligent Enterprise enables Finance to access data from all parts of the organization and to readily combine relevant financial data with operational data to make better decisions.